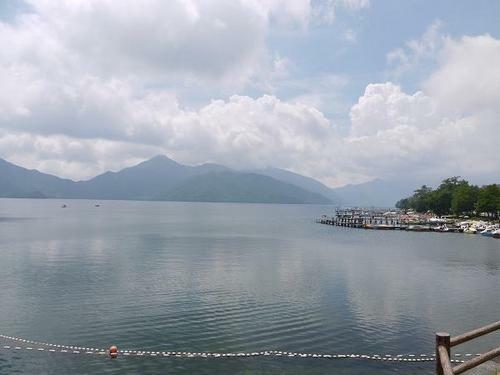 Lake Chuzenji was formed by natural damming of a river,caused by the eruption of ‘Nantai-zan’ volcano, around twenty thousands years ago. Lake Chuzenji in the picture above can be reached by car from ‘Tosho-gu’ in Nikko, the world Heritage. This lakeshore has been developed as a international resort town dotted with many summer villas of European Embassy in Tokyo since late in the 19th century. The ‘Kegon Falls’ in the picture above with a drop of 90 meters is well known as one of the three great waterfalls in the country. 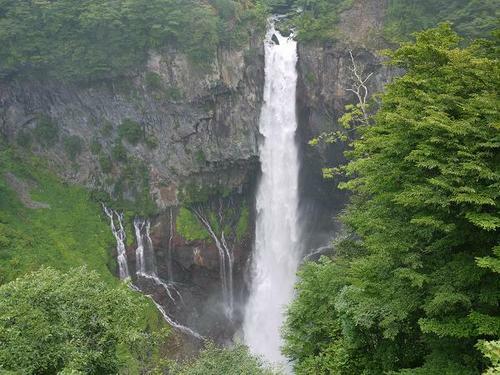 In the Nikko national park, reachable in two hours by train from Tokyo, a variety of turist destinations ranging from these natural beauties and ‘onsen’ hot springs to historical buildings will necessarily attract many tourists.